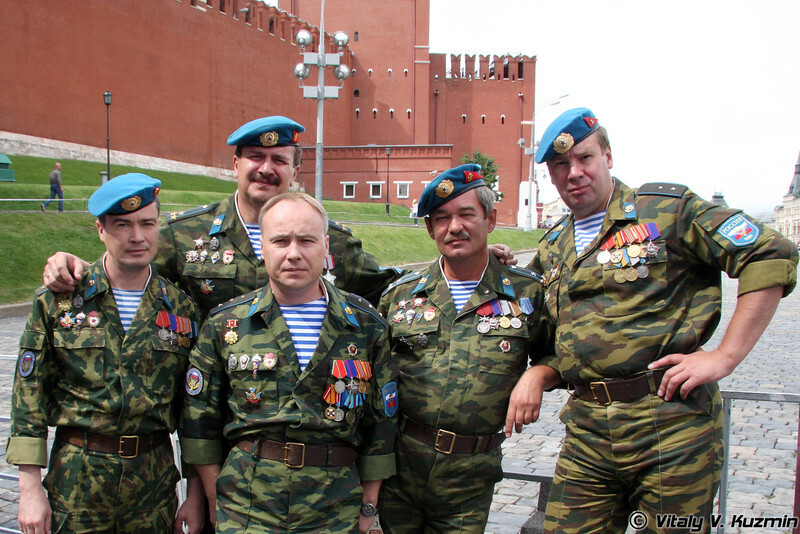 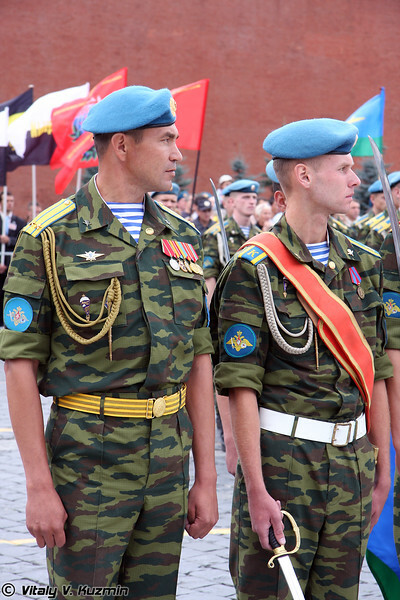 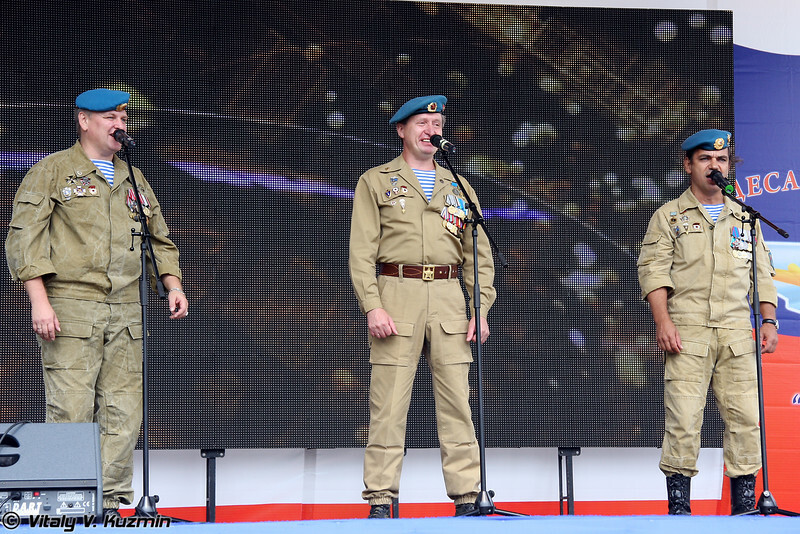 Russian Airborne force dates back 79 years and was for the first time presented to military leaders on 2 August 1930 during the Moscow District Air Force exercise as 12 paratroops were dropped from an airplane. 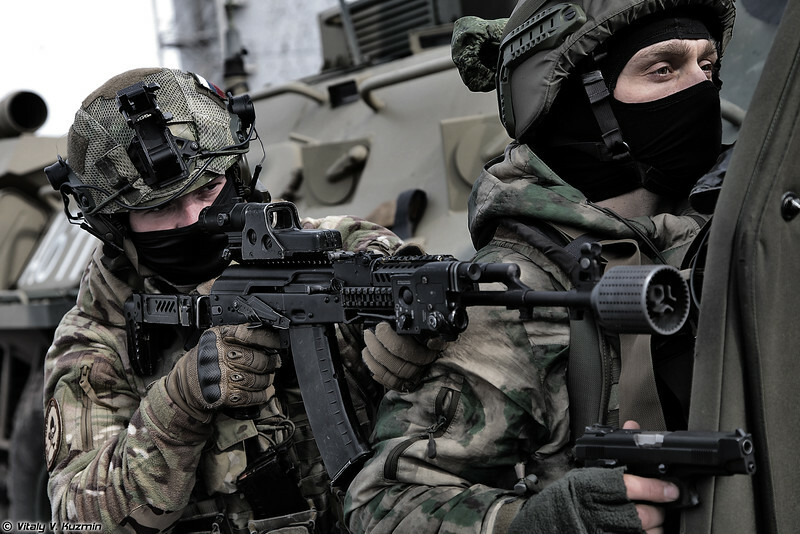 That was a milestone experiment that allowed the defence theory developers to make sure that the force using all the benefits of a rapid and concealed deployment could be of vital importance for spearhead strategic military operations. 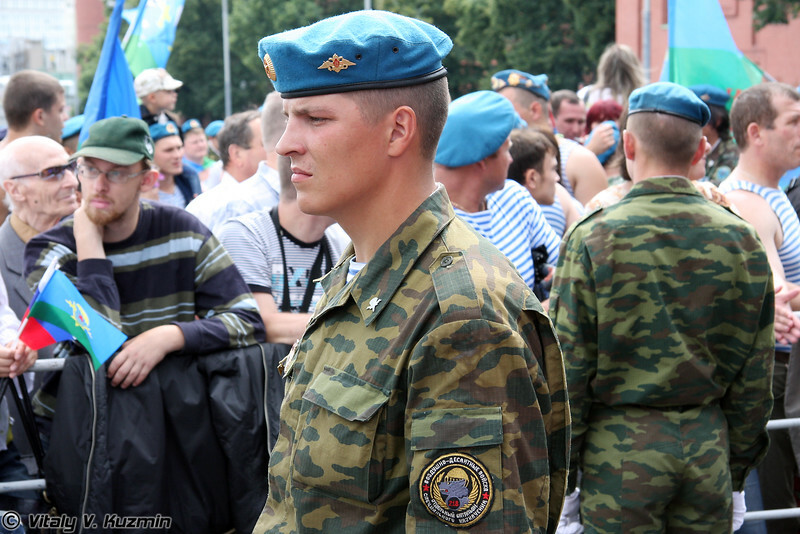 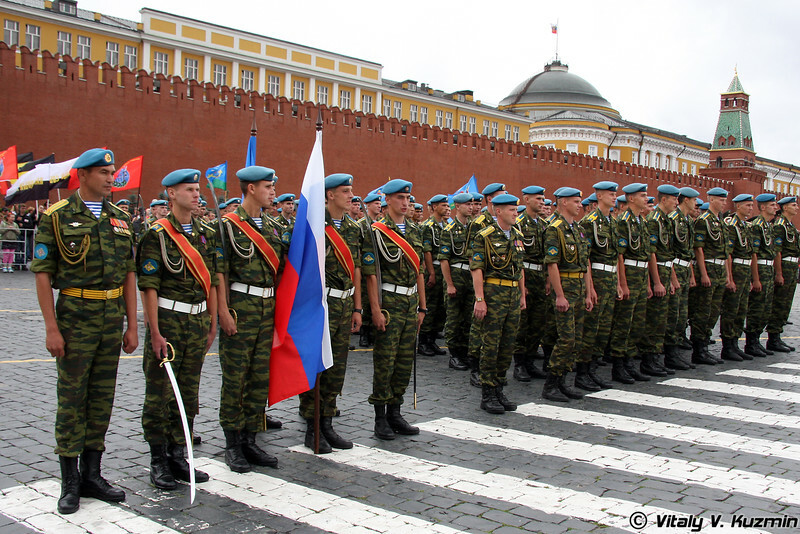 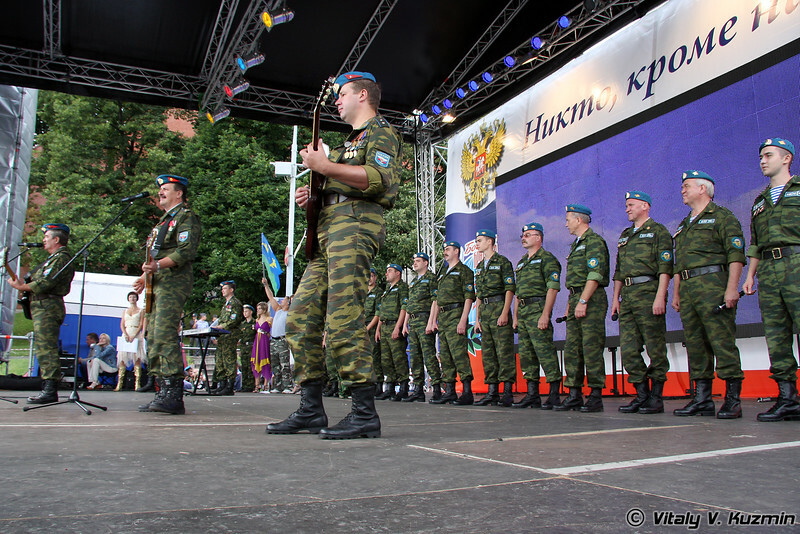 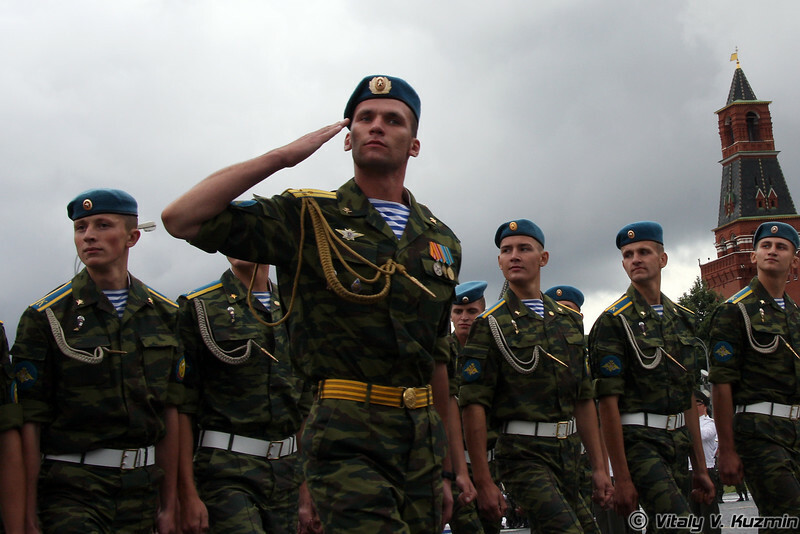 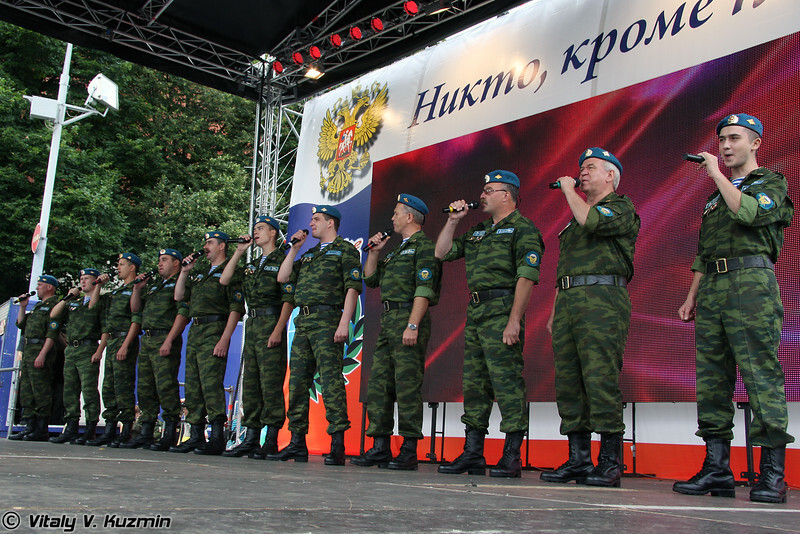 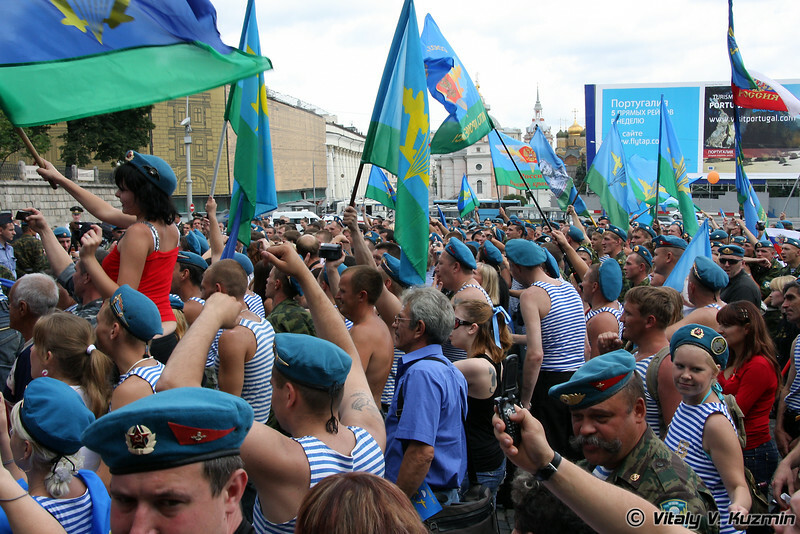 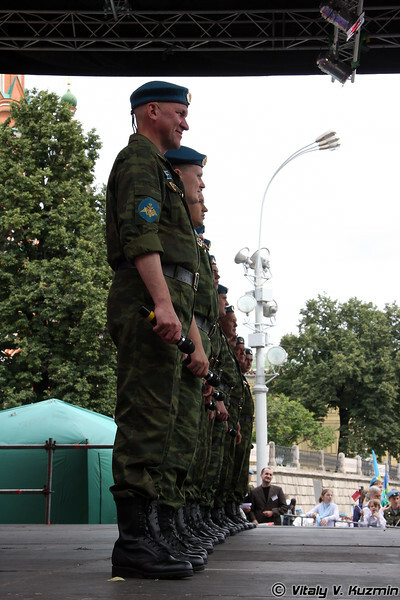 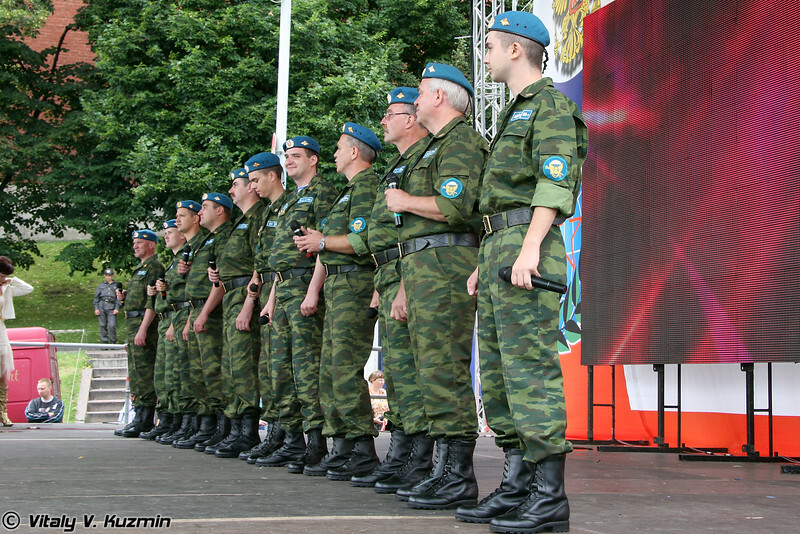 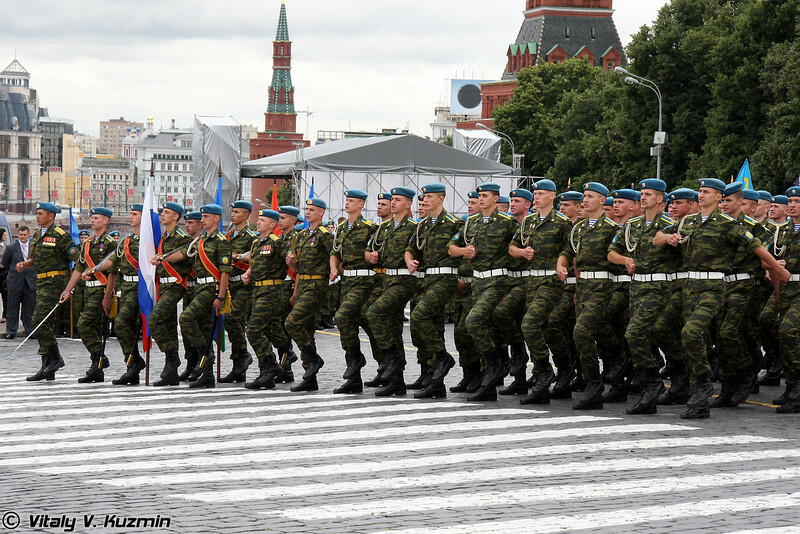 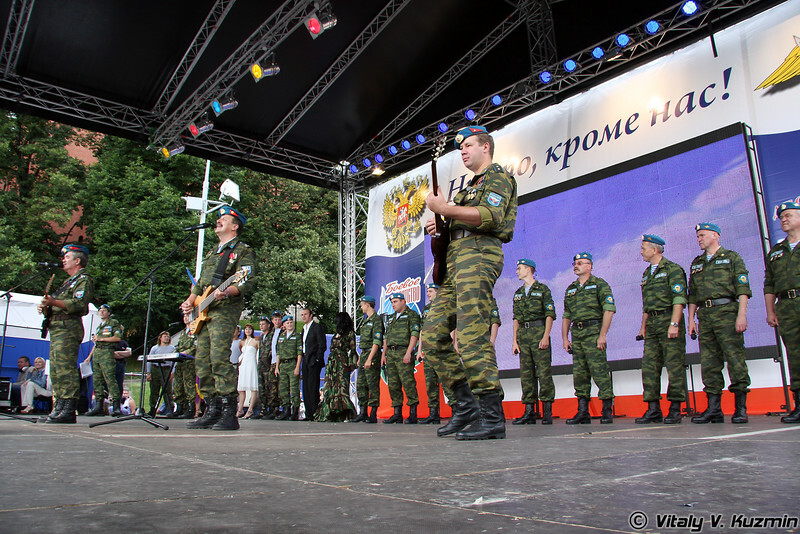 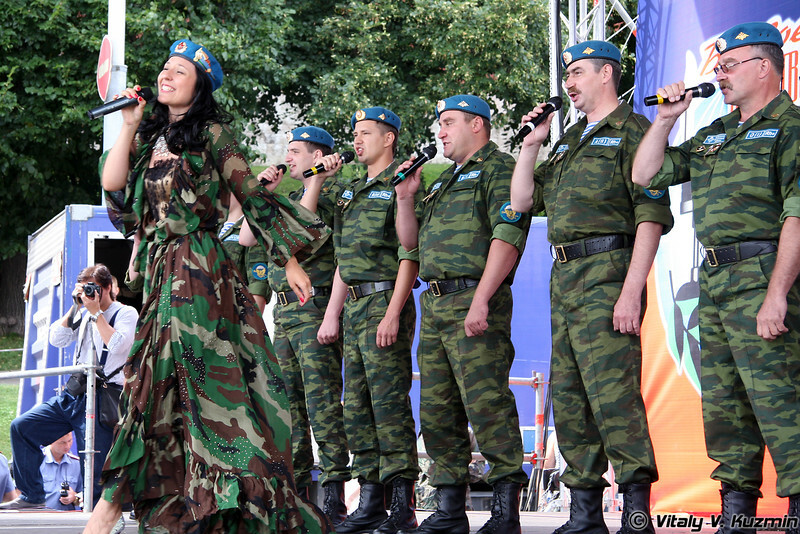 To this end, the second day of August has been celebrated as the day of Airborne troops since then. 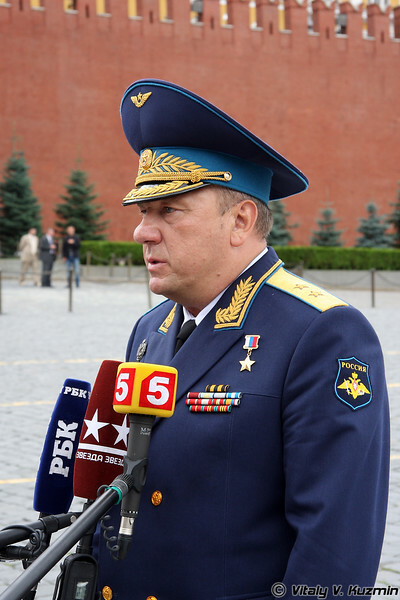 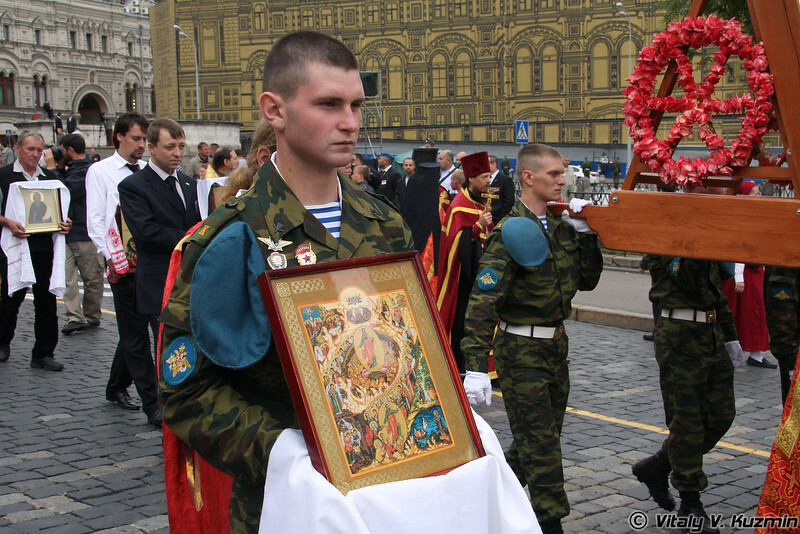 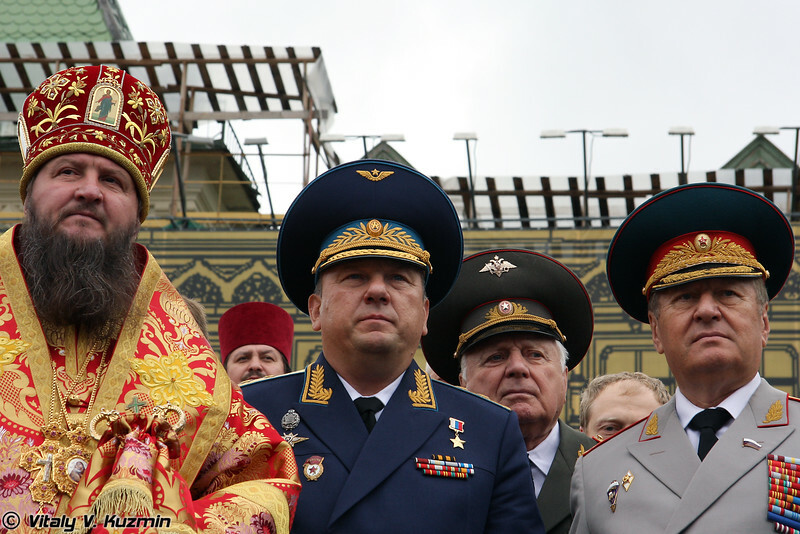 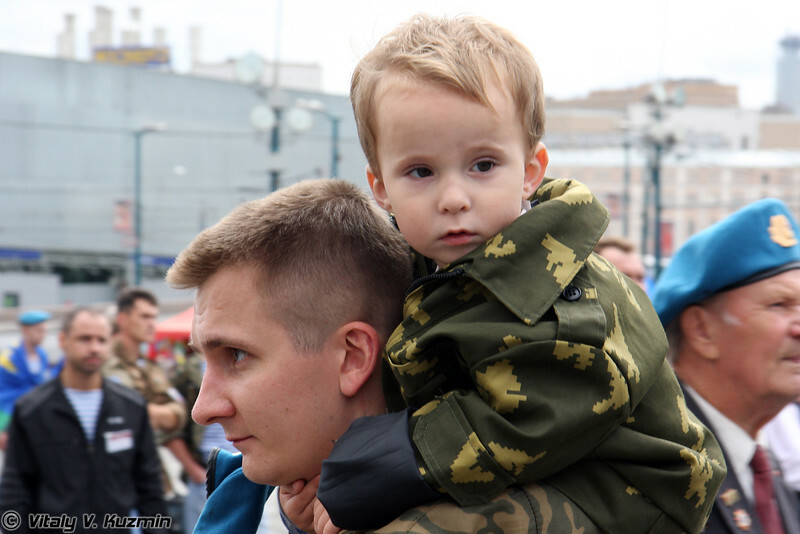 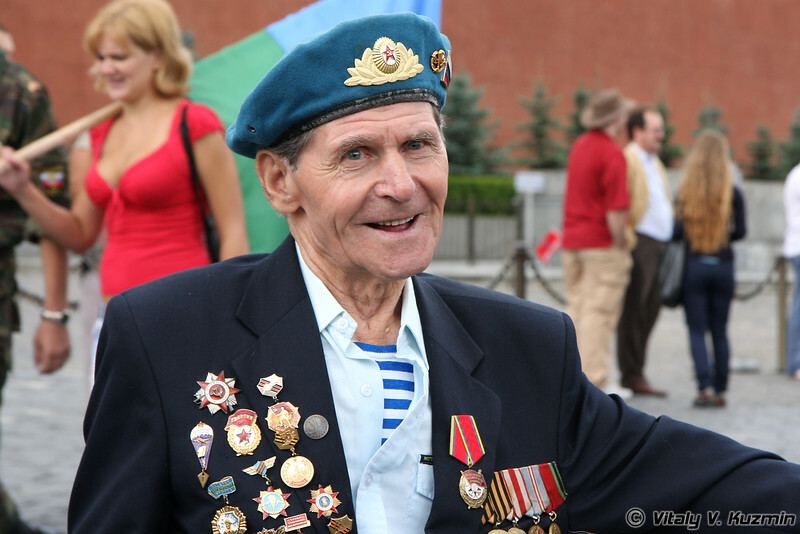 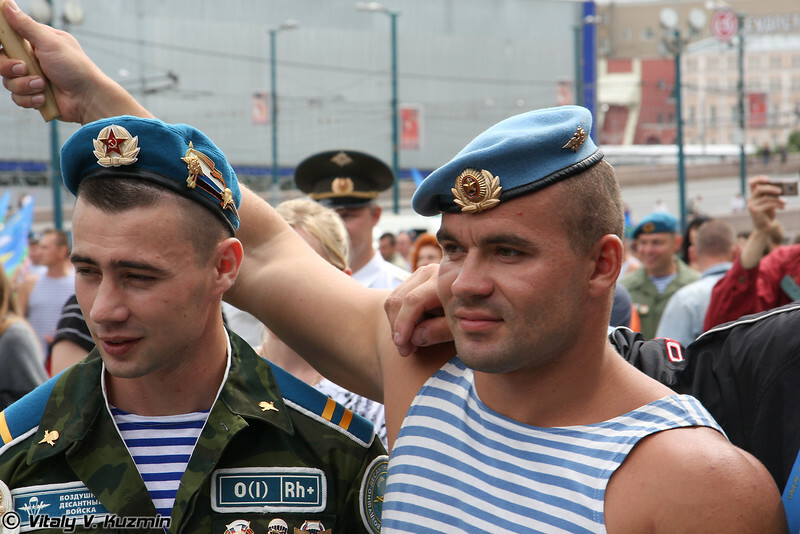 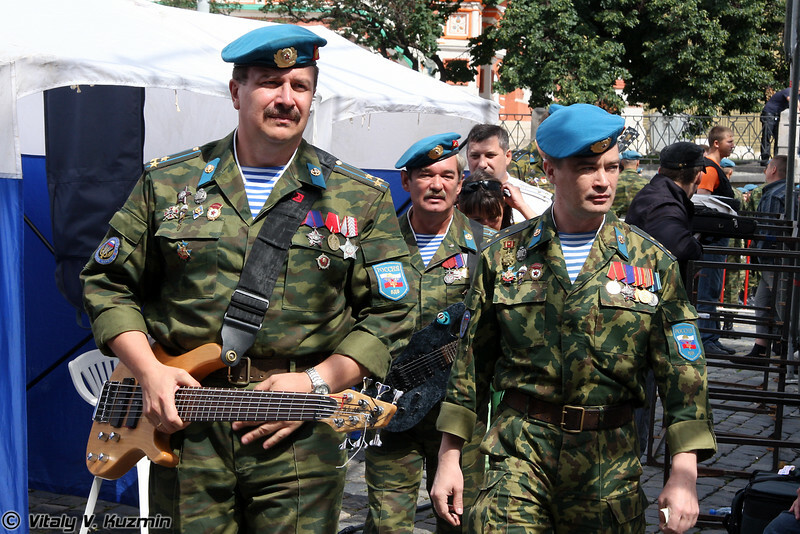 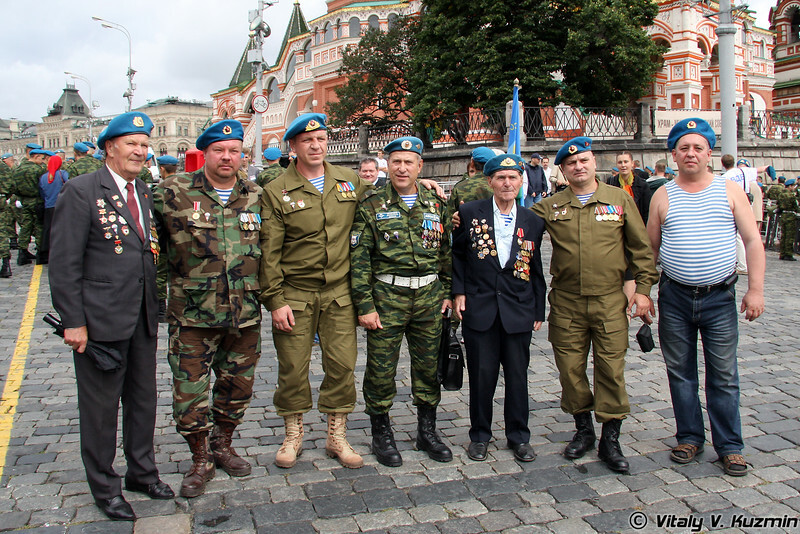 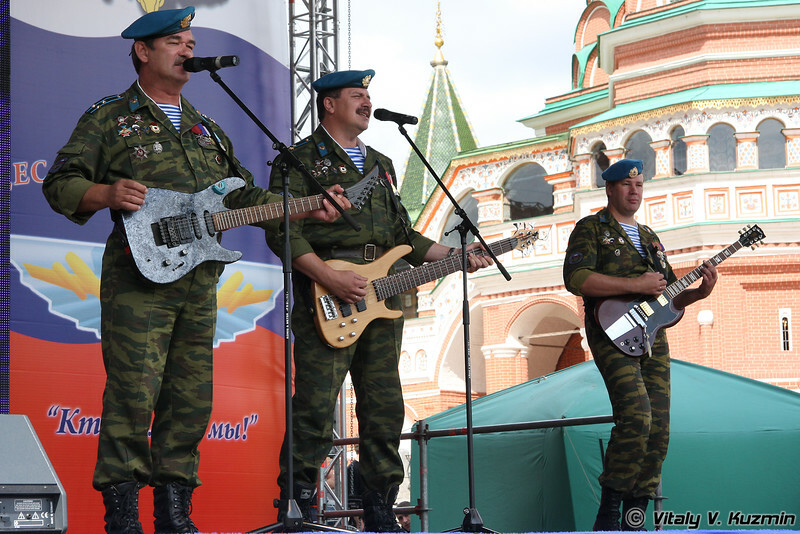 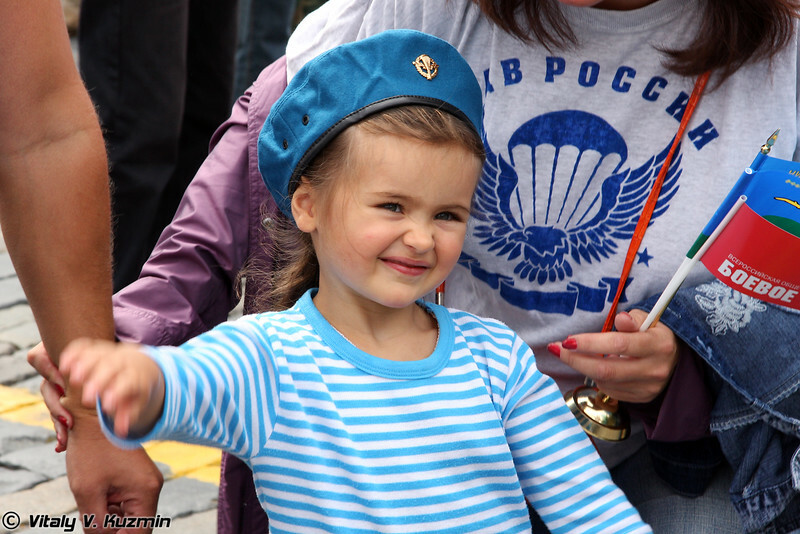 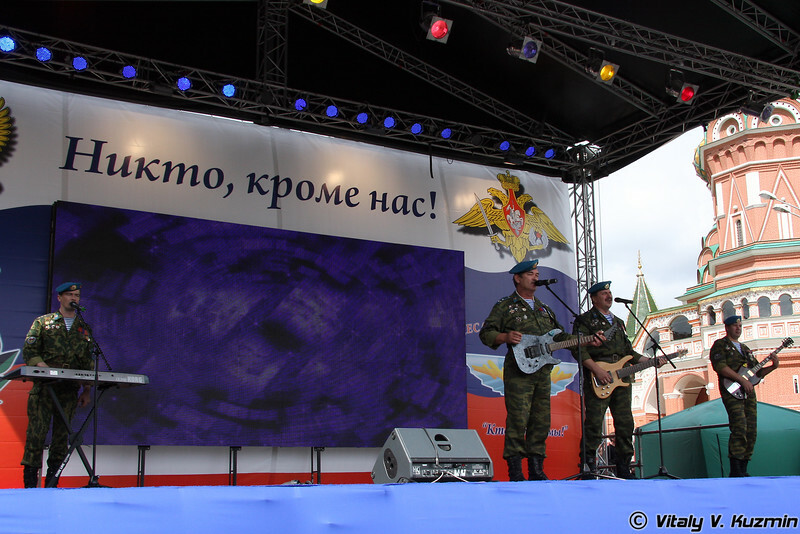 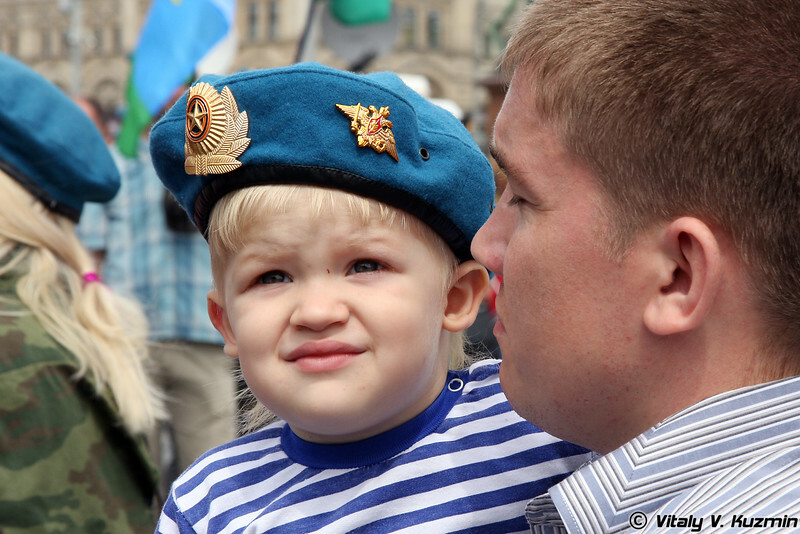 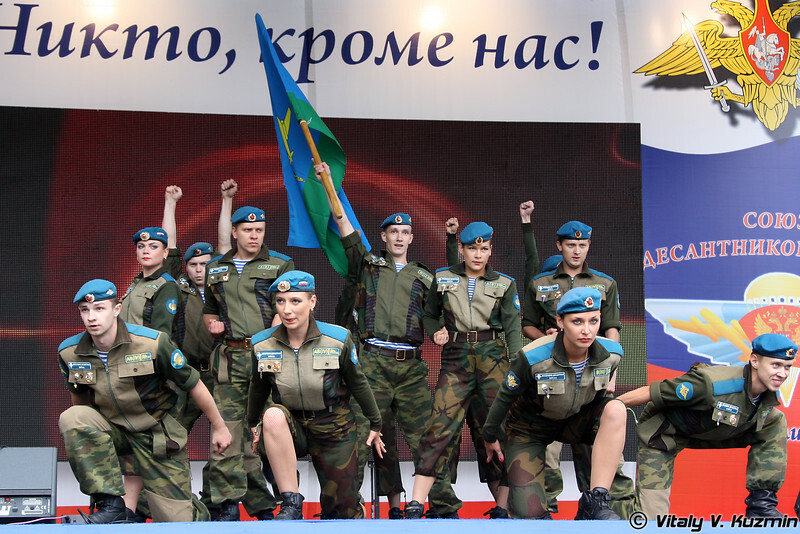 Short photo report from the celebration on Red Square. 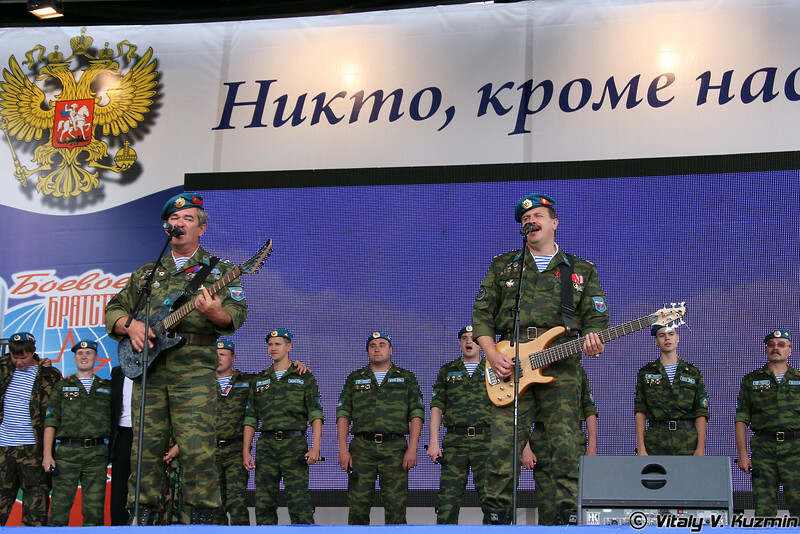 Небольшой фоторепортаж празднования Дня ВДВ 2 августа 2009г. 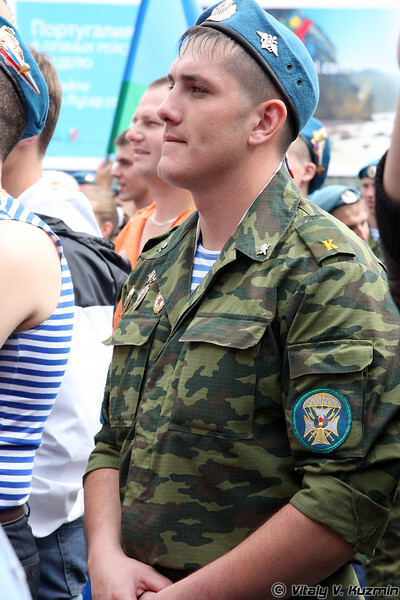 на Красной площади. 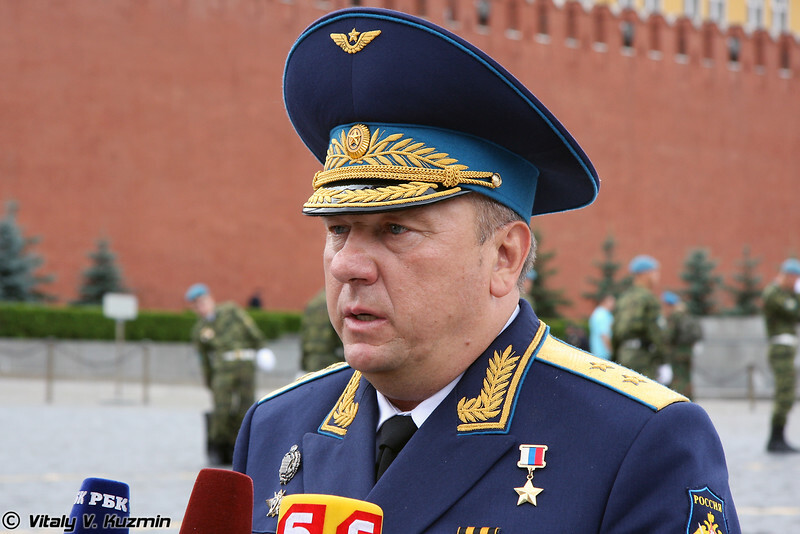 Сначала состоялся крестный ход и религиозные мероприятия в честь небесного покровителя ВДВ, потом на Васильевском спуске прошел концерт.